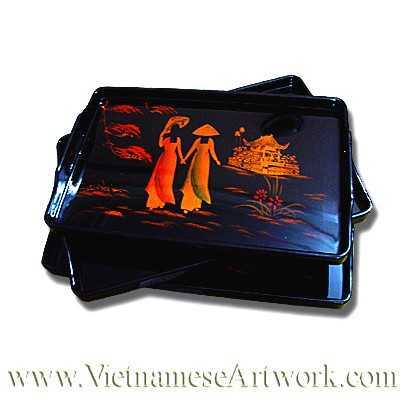 Trays with two Vietnamese girls painted on black lacquer! This price is for 1 tray only. 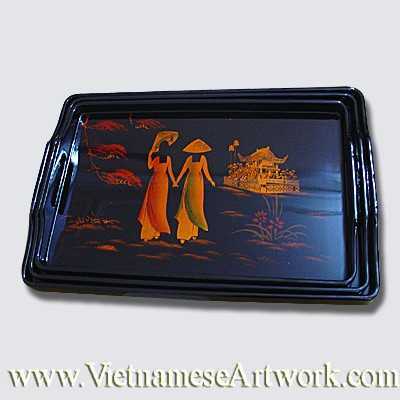 This set has 3 trays as in the pictures. You can also buy all 3 by changing the quantity of the item.